The Elder Scrolls Online Just Let Me Do Something New In An MMO, Whatever I Wanted! I was always disappointed that the next Elder Scrolls game after Skyrim game was an MMO. For me The Elder Scrolls has been about personal discovery and forging my own path. That is hard to do with an MMO since there are thousands of other people running around with me, and there are areas I can’t be without being a high enough level. Plus I have never been a fan of the standard hotkey MMO combat system. 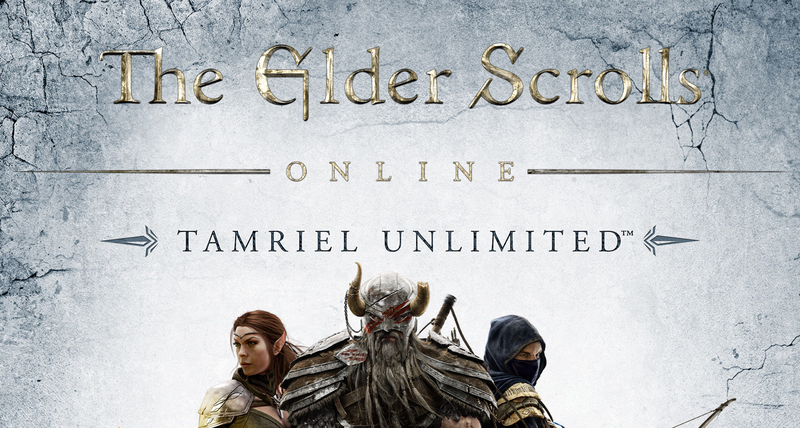 With the Tamriel Unlimited update The Elder Scrolls Online took a big step forward towards becoming a true Elder Scrolls game. It let me do what I want, when I want. I am not very far in the game, I am only level 7, but as soon as I was out of the second starting zone I decided to do the special Halloween quest, but in order to do it I had to trek all over Tamriel. I walked so far that in the back of my mind the song “I’ve been everywhere man!” was paying, but you know what? I wasn’t punished for marching from Daggerfall to Morrowind. I was rewarded. I leveled up from 5 to 7 by just looking at the countryside. The random enemies that would normally stop a low level player like me from advancing, while somewhat challenging due to my lack of skills, were still very beatable. In the end it turned out that I read the quest wrong, so I walked a little too far, but still I enjoyed myself. It was great to see Morrowind again after all these years. It was fun to just roam around and bypass all the miscellaneous quests that I would normally have had to do to move on in a game like this. “Yes random guard looking over random dead body this does seem suspicious, but I am going to just walk on by and let someone else handle this, or who knows maybe I will be back later. Maybe.” It was nice to know that I didn’t have to solve that murder if I didn’t want to. Heck I didn’t even have to acknowledge it if I didn’t want to, and that is very much in the spirit of The Elder Scrolls games. Now The Elder Scrolls Online still has some of the off-putting MMO trappings. It can sometimes feel like a trip to the zoo, “If you look to your left you can see a random field of shambling corpses, and to your right you will see some fire beetles which are slightly different than the lava beetles you saw earlier”, and to complete my Halloween quest I did have to wait for a boss to re-spawn. Also while they have done a good job of making the combat look and feel more Elder Scrolls action-y it is still hotkey/cool-down based. Those issues aside, this has been the most free I have felt in an MMO since the early beta days of Second Life (though that game appeals to a different crowd now). I cannot wait to get back and explore more of what The Elder Scrolls Online has to offer, and if I can ever get a DLC code that works from Amazon, start my low level murderous quest to the top of the Dark Brotherhood. Previous PostPrevious Things Get Real In Batman The Telltale Series Episode 3!